This is SEO 101 but very important as well. When search engines are reading your pages among the things they check includes the page title, the description of the page, the major headings and images. They do so because they need to understand what the page is all about and then based on other factors as well (off page SEO, domain authority, competition etc. ), they will place your page in a position in their index. Page titles – Each page must have a unique title that will help both search engines and users understand what the page is about. 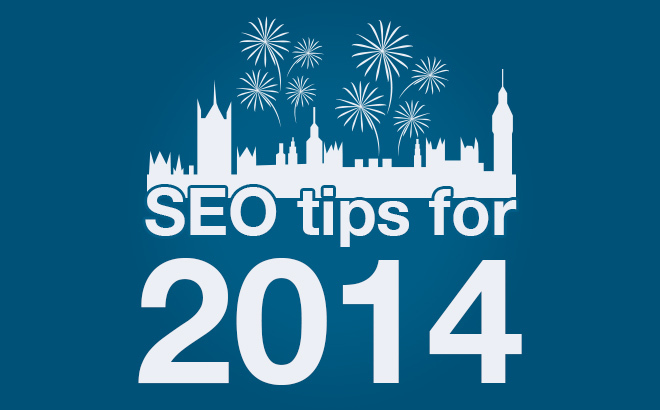 A page with title “On Page SEO Tips” is better than a page with title “index.html”. Descriptions – The page description is what the searcher will see in the search engine results page. So it has to be descriptive, up to 150 characters and unique for each page. It’s your opportunity to advertise your page and convince the searcher to click your link and visit your website rather than selecting one of the other links. Formatting – A page needs to be properly formatted. Think of it like a report which needs to have a heading (h1) and sub headings (h2). Important parts of the report are highlighted with bold, underline or italics. Do not just throw text on the page but make sure that it is readable as well. Besides the formatting practices explained above you also need to use a good size font (at least 12px) and split the text into small paragraphs (max 4-5 lines). 1) Use original images. If you need to use an existing image from the web you need to reference the source. 2) Optimise the size of the images – the smaller the size (in bytes) of the image the better. Use yahoo smush it to reduce the size of an image without sacrificing the quality. 3) Use ALT tag to describe the image – This helps search engines understand what the image is about. 4) Use descriptive filenames – Don’t just name your image ‘image1.jpg’ but try to use descriptive filenames, for example ‘Man doing push-ups’. 5) Use a Content Delivery Network – If you have a lot of images in a single page you can use a CDN service (from Amazon or Google) that will make your page load faster. In simple terms your images will be hosted and served by a number of servers and this speeds up the loading process. You can also read my seo tips for beginners article for more examples of optimized titles and descriptions and for best practices about the use of images. 1) Permanent links – Permanent links are the URL’s of each page. Good URLs should be less than 255 characters and use hyphens to ‘-‘separate the different parts. 3) Breadcrumb – A breadcrumb is also important for all your pages because it allows users to navigate your website in a structured way since they always know where they are and how deep below the home page. 4) User Sitemap – One of your options in the main menu should be the User Sitemap. This is an html file that represents the structure of your website. Visit my sitemap for an example. 1) It’s like building your own web: If you watch the nice tutorial by Google on how search works, you will see that the first step a search engine spider will do is follow the links they find. So when they arrive at your page, if you don’t have any other links within the text they will read your page and go but if you have links pointing to other pages within your website they will take those into account as well. 2) It’s a way to let search engines know about your other pages: As explained above when search engines find a page with links, they will go and read those pages as well so you can use this technique to tell search engines about pages of your website they have not yet discovered. 3) It’s a way to tell search engines which are your most important pages: Every website has some pages that are more important than others. Internal linking is one of the ways to pin-point the most important pages by sending them more internal links. 4) It’s a way to increase time on site – A user that is reading your post is more likely to click on a link to read more about a certain subject and thus increase both the time spend on your website and the number of pages per visit. Last but not least, 2 SEO techniques that are becoming more and more important especially after the release of penguin 2.0 (or 4.0 as some people like to say it): Speed and authorship. Speed: Google is investing a huge amount of money to make the web faster. In every Google I/O someone will talk about the importance of speed and their desire to include the fastest websites in their index. In order to ‘force’ web site owners to take speed into account they have officially added speed as one of the ranking factors. So, we know for sure that web site speed does matter when it comes to SEO and ranking. As a webmaster your job is to make sure that your website loads as fast as possible by taking into account Google’s recommendations. Google authorship: Google is preparing for the next generation of Search and their effort is to rank higher webpages written by people who have authority on the particular subject. One of the ways to establish authority is by correlating the content you publish on the web with your Google+ profile. Then depending on how many followers you have and who follows you, your ranking may change. Google authorship is still at its early stages but it’s gaining ground fast so you have to create a Google+ profile and bind the profile with your content. This entry was posted in SEO Onpages and tagged link building, marketing, onpages, seo, seo offpages.